June Weddings have always been popular. 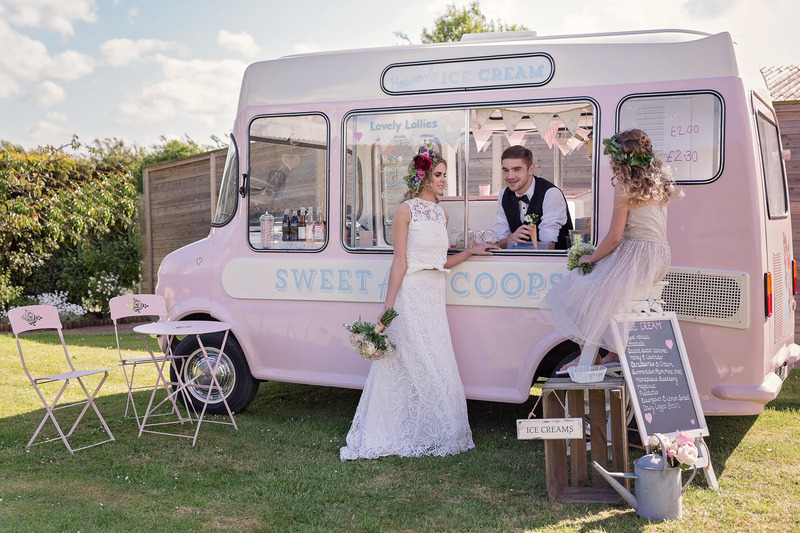 Named after Juno, the Roman Goddess of marriage bringing prosperity and happiness to the June bride who wed in her month! I was lucky to attend some beautiful June weddings at some stunning locations. I think Juno would be very approving if she were looking down! It was also nice to have lots of other different events in between the weddings to keep me on my toes! 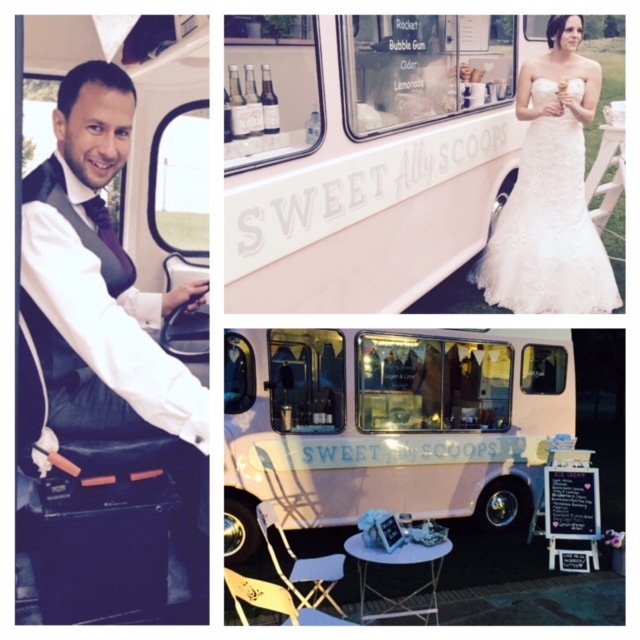 The first Saturday of June I was scooping at the very pretty Worlington Hall Country Hotel in Suffolk. 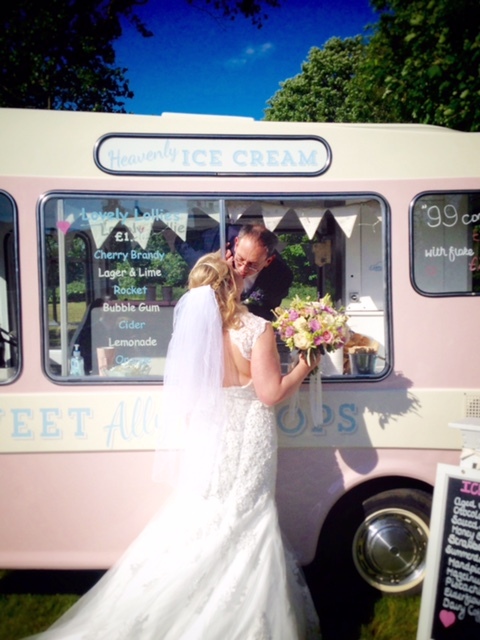 The bride chose to give her guests a lovely ice cream treat just after she arrived at the hotel from the church. It was leisurely and relaxing for everyone as they sipped on their Pimm’s and then wandered over to Lottie for their treat! A bbq was served later on after Lottie and I headed home. My next June wedding was at one of my favourite venues Chippenham Park Hall. This time the Bride and Groom wanted me to serve their guests at their evening reception. The British weather let the gorgeous couple down that day, but I was lucky that the rain held off for the two hours I was there scooping. I had packed my gazebo just to be on the safe side but it wasn’t needed! Everyone had a great time and the ice cream was a huge hit even without the sunshine. The light faded quite quickly because of the weather but Lottie looked really pretty with her fairy and internal lights on! 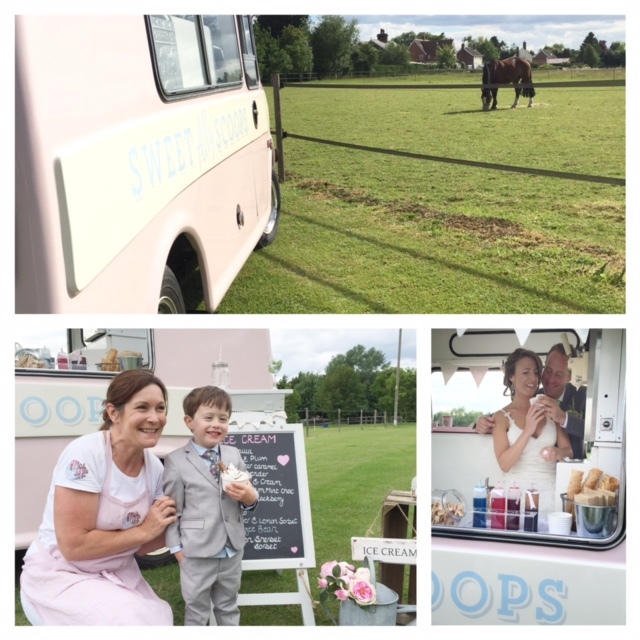 Who needs sunshine when you have love, beautiful venue, amazing guests and ice cream! Off to the beautiful Abbotts Barn in Suffolk next for the wonderful wedding of Mike and Dallas. It is such a pretty romantic setting. Lottie was positioned on the lawn next to the paddock. Alongside me was an amazing mobile cocktail bar provided by Martin Miller Gin. On the opposite side of the lawn there was lavish hot food. The Bride and Groom were so much fun and many of the guests were from America, so we had lots of practice pronouncing waffle cones in an English accent. It was a dream location for me: horses in a paddock, a cocktail bar, ice cream and mouth watering food and lots of sunshine. Nearly makes me want to get married again!! !